The Sahara desert is home to a diverse and distinct ecosystem. The wildlife, tribes, culture, heritage, and lifestyle stand apart from the rest – because of their proximity to nature. While Africa is endowed with a bounty of nature’s gifts, the best and most iconic of all gifts it has is the baobab tree. The baobab tree is truly a wonder. It is a reservoir of vitamins, minerals, polyphenols, and dietary fiber. Scroll down to discover the benefits and uses of baobab. What Is Baobab? Where Can You Find It? 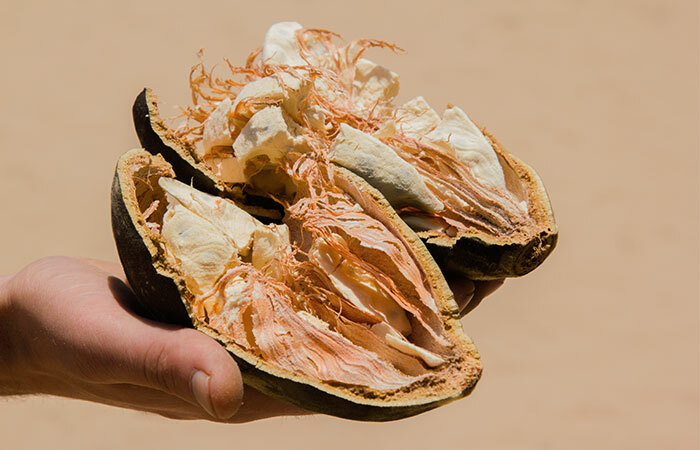 What’s In The Baobab Fruit? What Makes It Special? How Can Baobab Improve Your Health? What Are Its Benefits? Are There Any Adverse Effects Of Using Baobab? The monkey-beard tree or the upside down-tree, a.k.a baobab (Adansonia digitata) is a characteristic of sub-Saharan Africa. It is widely distributed in Africa and north-western parts of Australia. The baobab tree (all species of Adansonia) bears large, oval-shaped fruits with woody outer shells. The baobab fruit has a mushy pulp when ripe. This pulp turns chalky, tough, and crumbly when the fruit dries. Due to the hard capsule (outer shell), baobab fruit has heat-protective and water-resistant properties. This fruit can survive extreme weather conditions, such as wildfire, high sea tides, etc. (1). While the outer capsule makes the fruit almost unaffected by nature, the inner pulp is quite the opposite. It is a reservoir of nature’s best gifts. Be it vitamins, proteins, or therapeutic phytochemicals – baobab has plenty of them. Scroll down to know more! The baobab tree is considered to be one of the longest living It has a lifespan of several thousands of years! Since these trees do not produce growth rings like other species, experts say that it is difficult to date them. But a tree in South Africa was found to be as old as 6,000 years! Baobab fruit pulp is particularly rich in vitamin C. Consumption of 40 g covers 84%-100% of the Recommended Daily Intake (RDI) for pregnant women (19-30 years) (2). The kernels of baobab fruit had the highest magnesium content, around 600–700 mg/100 g. This is higher than the magnesium content in other kernels or seeds. The shells of the baobab fruits are so hard and tough that they can be used as vessels and pots. Hollow baobab tree barks are used as natural water reservoirs. The hollow space is filled with water and tightly sealed. The capacity is 9,000-1,00,000 liters per tree. The water stays untouched and is potable for years and droughts together. The baobab fruit has antipyretic and analgesic This is why pregnant women are given juices made of the fruit pulp in water. Pregnant women in parts of Africa used the barks of mature baobabs to enlarge their birth canals before parturition. In India, the pregnant woman bathes in water that has been boiled with the baobab bark. Baobab improves the absorption of iron in your body. Since baobab has a high amount of vitamin C, the iron from plant and animal-based foods gets coupled with it and is absorbed better. The edible parts of the baobab tree are its leaves, seeds, and fruit pulp. Dried fruit pulp has high levels of vitamin C, potassium, calcium, and dietary fiber. The fresh pulp is used to make local foods (snacks), fruit juices, sweets, brews (as a fermenting agent), and porridges. The fruit pulp was found to contain macro and micronutrients like calcium, potassium, magnesium, sodium, phosphorus, iron, copper, manganese, and zinc (3). The seeds also find a lot of uses. Baobab seeds are roasted and eaten as a nutritious snack. Fermented seeds are made into a traditional recipe called ‘maari.’ The seeds are rich in essential lipids (about 11.6 – 33.3 g/100 g of dry weight) and amino acids (2). With all these nutritional elements, the baobab fruit might be an excellent fortifier and supplement to your health, don’t you think? Well, we can’t agree more. Read on to find out how it can improve your health. The baobab fruit contains terpenoids, flavonoids, phytosteroids, amino acids, vitamins, lipids, beneficial carbohydrates. The dry fruit pulp possesses high amounts of vitamins C and B (2). Irrespective of the form of the fruit you take, the antioxidants present in baobab make it an effective hepatoprotectant, i.e., it can prevent damage to the liver. The vitamins and phytochemicals in baobab scavenge the free radicals in your body. In a rat study, baobab extract was found to prevent lipid peroxidation by scavenging the free radicals (4). Hence, baobab might prevent the inflammation of a healthy human liver too. The baobab fruit is known for its high fiber and polyphenol content. It was proven that these elements help in promoting satiety in adults. The baobab fruit reduces the glycemic response of foods when added to them (5). It delays the absorption of starch from certain foods, leaving you feeling full for a long time. Research points out that baobab can help in managing weight by stopping hedonic hunger pangs (6). However, this aspect is not well-studied and needs extensive research to understand the underlying mechanism of baobab. This benefit is an extension of the one listed above. As baobab can delay the digestion or breakdown of starches, it affects the glycemic index or response of a food it is mixed with. This means that consumption of the baobab fruit doesn’t lead to a sudden spike in blood sugar levels. The biochemical make-up and abundant dietary fiber of this fruit set up a slow and regulated release of glucose into the blood (7). Baobab is, hence, a good food additive for those who have diabetes and cardiovascular diseases. Baobab fruit has one of the highest levels of antioxidants. It also has good amount of vitamin C, about six times that in oranges! The fruit pulp is rich in dietary pulp along with polyphenols. Also, the seeds of this fruit contain essential fats, vitamin E (tocopherols), and several terpenoids. Baobab oil is a rich moisturizer. Young leaves of this plant are said to contain about 9-27 mg/kg of provitamin A (8). The micronutrients in baobab can help in skin tightening by supporting collagen synthesis. The abundant antioxidants eliminate the accumulated free radicals that trigger the signs of skin aging like wrinkles, pigmentation, stretch marks, blemishes, skin infections, etc. (7). African traditional medicine uses parts of the baobab to treat diarrhea, nausea, dysentery, and other chronic digestive disorders. Reason? The abundant dietary fiber in baobab fruits (9). These fruits (dried or fresh) have both insoluble and soluble fibers. The water-soluble part of fiber eases digestion. It dissolves in water and brings down the dehydration in case of diarrhea. The insoluble fiber stays undigested in your GI tract and acts as a bulking agent (laxative). It cures constipation and irritable bowel syndrome by preventing the hardening of stools in the colorectal passages. Due to the high fiber content, the remnant baobab pulp and residue is acted upon by the intestinal microflora. This way, baobab is a prebiotic and aids digestion of complex starches, lipids, and proteins (7). Owing to abundant antioxidant availability, the baobab fruit and its pulp are known to be effective immunostimulants. A study suggests that the plant-derived arabinogalactan proteins in baobab are effective in modulating skin innate immune responses (10). Research has it that the fruit, leaf, and seed extracts have antimicrobial properties. The protective bioactive ingredients pose a threat to Bacillus subtilis, Escherichia coli, Mycobacterium leprosy, Candida albicans, and Saccharomyces cerevisiae (9). The fruit extract restores the antioxidant to oxidant balance that is triggered by cancers. It also restores the activity of housekeeping and tumor suppressor genes (like p53 and BCL2). These genes are the common targets in various cancers and protect cells from apoptosis (cell death) (11). Baobab is called the “Tree of Life’ for its long lifespan and longer list of industrial, therapeutic, cosmetic, and nutraceutical applications. If you are eager to try this African wonder, see what the next section has in store for you. Baobab extract capsules – Buy here! Baobab superfruit powder – Buy here! Baobab essential oil (for external use only) – Buy here! Baobab leaf powder – Buy here! Baobab fruit pulp body butter (for external use only) – Buy here! Dried baobab bark is also available in local markets, which can be used to make teas and coffees. Dried fruit powder is added to meals to increase the absorption of certain nutrients and soothe the GI tract. Unfortunately, there is not enough evidence to frame a recommended daily intake dose for baobab. There is no information on the upper limit of intake as well. What we know is that baobab has high levels of ascorbic acid (vitamin C). It is not harmful or lethal, but just be aware. The baobab fruit sounds too good to be true because of its miraculous benefits. Does it have any side effects? We don’t know yet because there is not enough research bringing out the side effects of baobab fruit or other parts of the plant. This is the reason there is no fixed dose or toxicity limit for this gift of nature. One hiccup could be excessive fiber intake. If you have too much of the fruit pulp or the supplement, you might have to run to the loo many times in a day! The baobab tree and its parts hold high importance in African cultures. Baobab finds its place in medicine, industry, tradition, religion, and many walks of daily life. The fruit, its pulp, seed, and shell are also of economic, ecological, and therapeutic importance. Buy a suitable supplement from the list. Beware of adulteration. Do your research before buying any of the baobab products. Consult your doctor or nutritionist for customized ways to incorporate it in your routine. And see how the African charm works on your health! 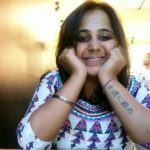 Share your suggestions, queries, and feedback about this read with us in the comments box below. “Adansonia digitata and Adansonia gregorii fruit shells serve as a protection…” Botanical Studies, US National Library of Medicine. “Baobab food products: a review on their composition…” Critical Reviews in Food Science and Nutrition, US National Library of Medicine. “Nutritional variation in baobab (Adansonia digitata L.) fruit pulp…” Food Science & Nutrition (Open Access), US National Library of Medicine. “Evaluation of Hepatoprotective Activity of Adansonia digitata…” Evidence-based Complementary and Alternative Medicine, US National Library of Medicine. “The polyphenol-rich baobab fruit (Adansonia digitata) reduces…” Nutrition research, US National Library of Medicine. “The acute effects of baobab fruit (Adansonia digitata) on satiety” Nutrition and Health, US National Library of Medicine. “There are nine baobab species.” SUST Repository. 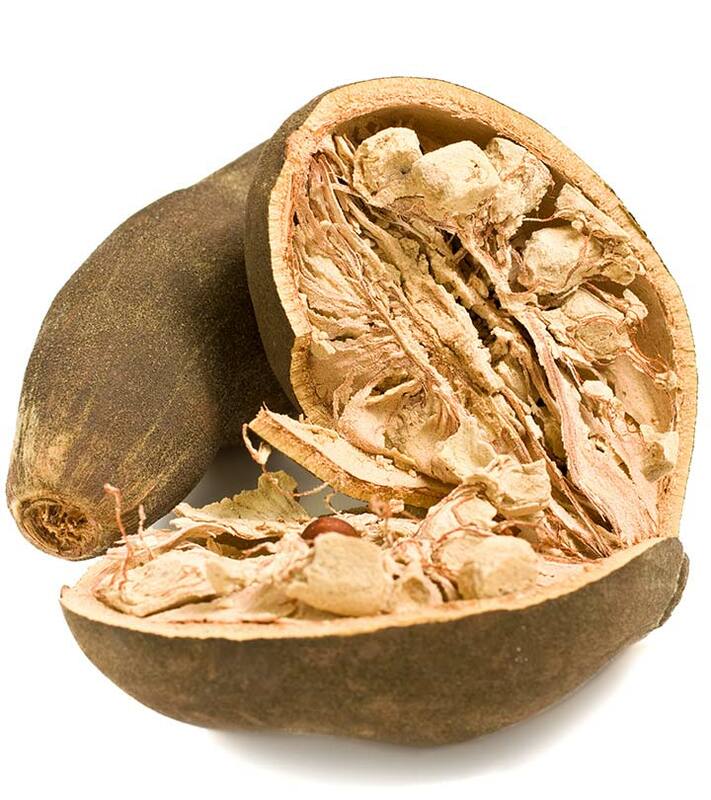 “Antioxidant capacity of Adansonia digitata fruit pulp…” Acta Phytotherapeutica. “Extraction of oils from the seeds of Baobab…” University of Khartoum. “Arabinogalactan Proteins From Baobab and Acacia seeds…” Journal of Cellular Physiology, US National Library of Medicine. 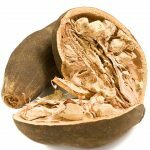 “ The Effect of Seeds and Fruit Pulp of Adansonia digitata L. (Baobab)…” Food and Nutrition Sciences, Scientific Research.